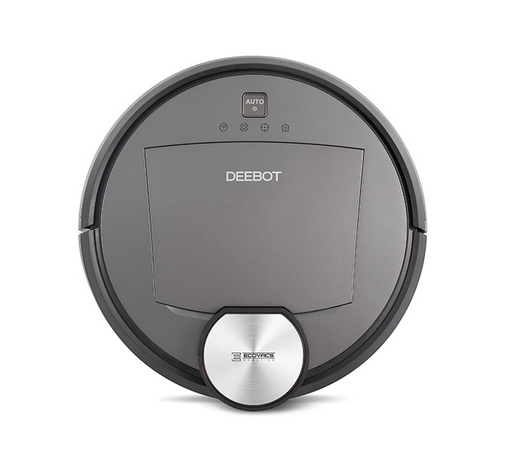 ECOVACS ROBOTICS changes everything you thought you knew about robotic vacuums: introducing DEEBOT R98 – the self-emptying, 2-in-1 cleaning system with SMART NAVI technology and smartphone control. DR98 uses SMART NAVI technology to scan and map the environment, plan an optimal cleaning path and uses its memory to resume cleaning after charging. 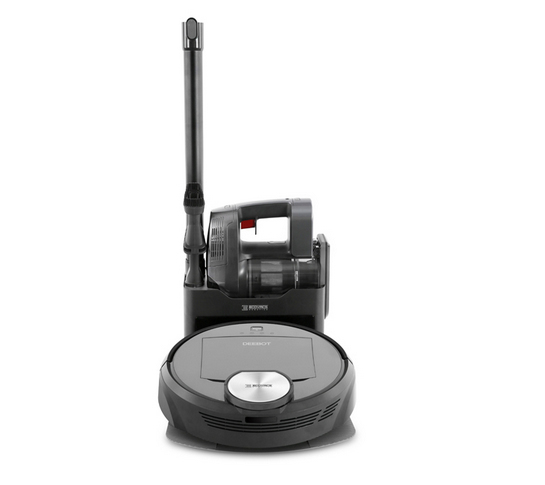 DR98 also features a cordless, handheld stick vacuum with a full suite of attachments to clean surfaces a typical robot can’t reach. Yes, you read that correctly. DR98 automatically empties its own dust bin! DR98 is so intelligent that when it returns to the charging station after cleaning, it automatically empties its own dust bin saving you time and reducing airborne dust often associated with manual emptying. Clean more than the floor with the 2-in-1 DR98. 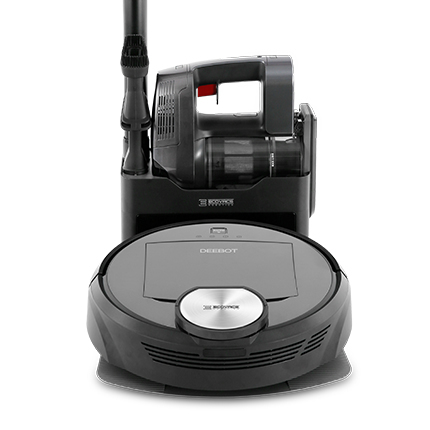 The robot’s charging station features a cordless, detachable handheld stick vacuum with cyclonic suction and a suite of attachments to clean surfaces a typical robot can’t reach. The future of floor cleaning has arrived. DR98 uses proprietary SMART NAVI technology to scan and map the environment, enabling DR98 to clean areas only once with maximum coverage, avoid obstacles, travel the shortest route back to its charging station, and remember where to continue cleaning after charging in the middle of a job. Download the ECOVACS APP on your smartphone and operate your DEEBOT from anywhere! - View a cleaning log and more! No more unfinished business! DR98 intelligently determines an optimal cleaning path for complete coverage and remembers where it has already cleaned, even if it needs to recharge in the middle of a job. DR98 moves safely in your home with its map and anti-collision sensors to detect obstacles in its path and navigate around them for uninterrupted cleaning. If the sensors detect an obstacle, a signal will be sent to DEEBOT's "brain" to slow down, and select a new path. The cushion bumper provides extra protection to ensure your furniture stay intact. The DEEBOT that talks! You will be informed of the robot’s working status. If DR98 has something to report, the robot will announce it in real-time. Thanks to the advanced anti-drop sensors, DR98 cleans up to and around stairs without the risk of falling. 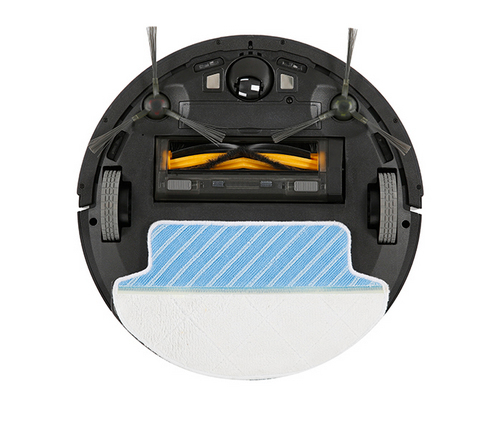 If the robot senses a drop-off, it reverses direction and selects a new cleaning path. Never come home to dirty floor again! 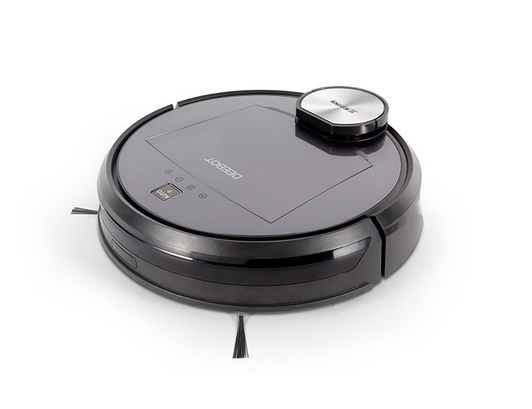 Use the robot’s control panel or the APP to schedule an automatic cleaning once a day, even when nobody is home. No human intervention required! When battery power gets low, DR98 automatically returns to its charging dock, all by itself.